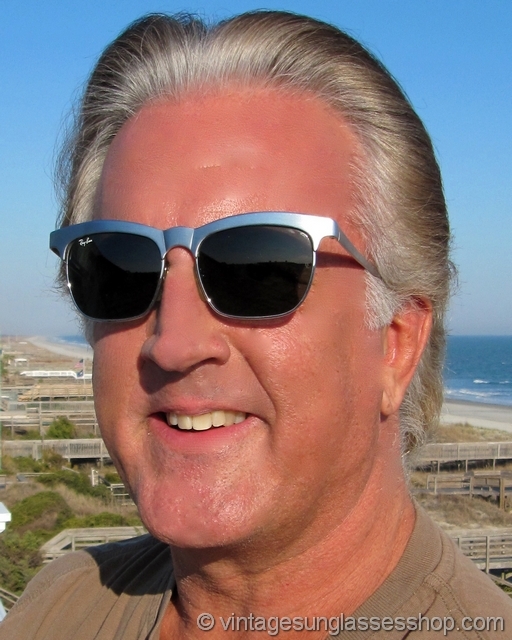 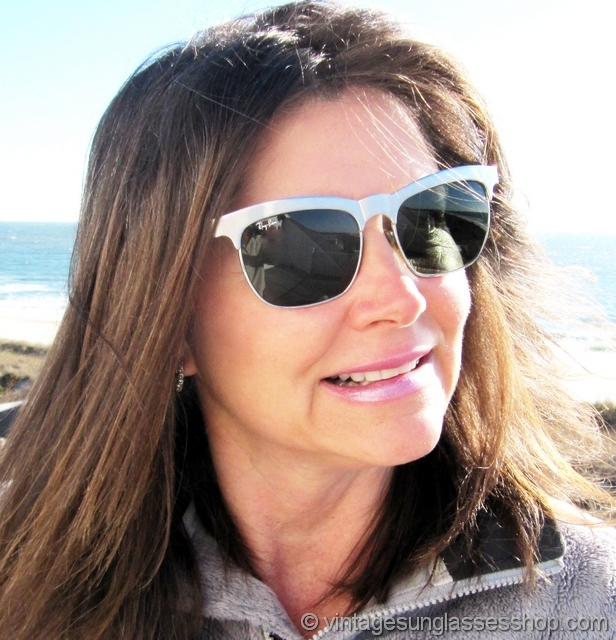 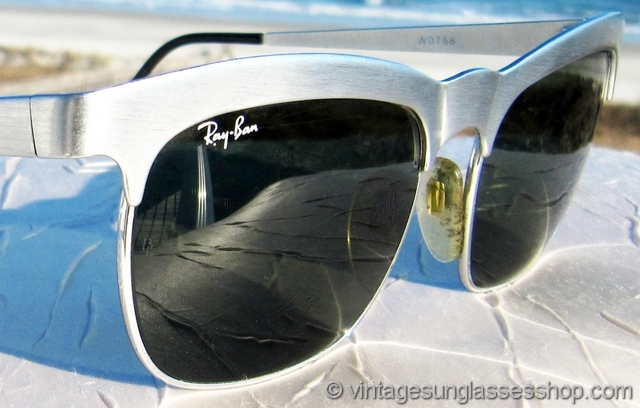 1 Vintage Ray-Ban W0756 Wayfarer Nuevo sunglasses feature a gunmetal silver top frame and ear stems that hold Bausch & Lomb G-15 anti-glare lenses, another style icon from the Ray-Ban Wayfarer family. 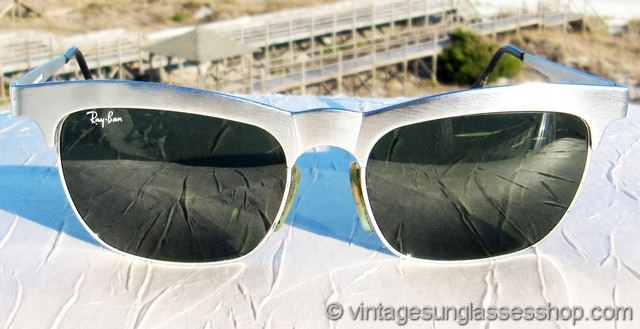 The B&L G-15 lens was originally designed for the US military to cut down on glare and to transmit all colors equally so they retain true values. 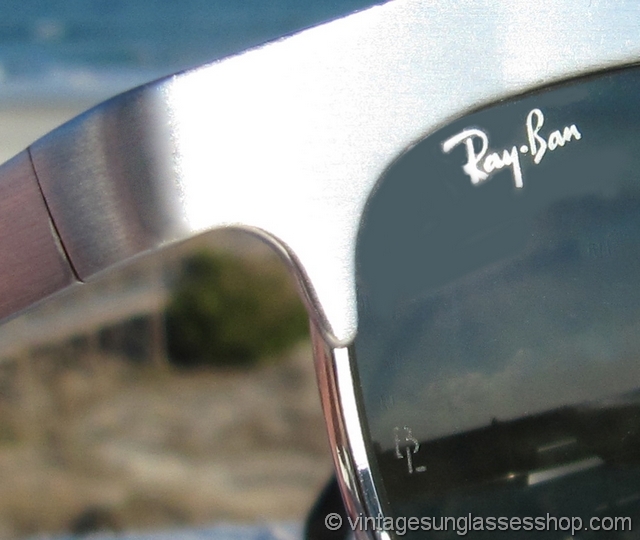 There are few frames that look better with that lens than the Ray-Ban Nuevo Wayfarer, one of the most distinctive styles Ray-Ban produced c early 1990s. 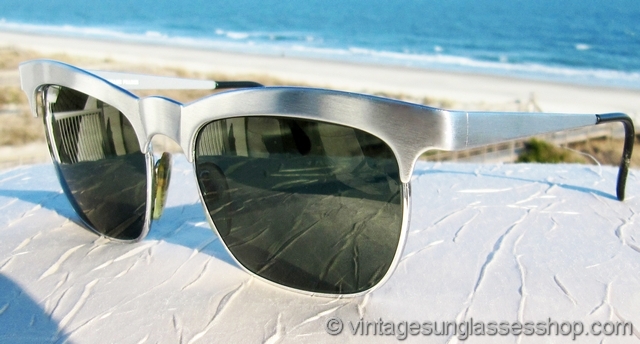 A back screw assembly holds the lenses in place which enables the very thin profile look that characterizes the front of the Nuevo frame. 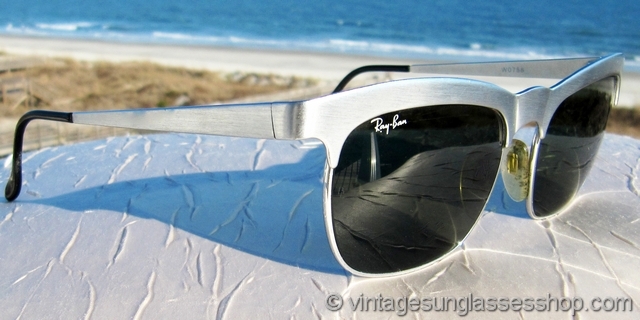 The unisex Ray-Ban W0756 Wayfarer Nuevo frame measures approximately 5.5" temple to temple, and the lenses measure approximately 2.0" x 1.5" at the widest points with right lens laser etched Ray-Ban and both lenses laser etched BL near the hinges. 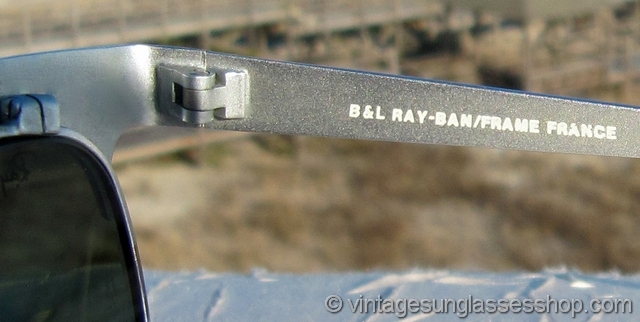 The inside of one ear stem is marked W0756 while the inside of the other stem is marked B&L Ray-Ban Frame France, part of a wonderful collection of vintage Ray-Bans from Baton Rouge, LA. 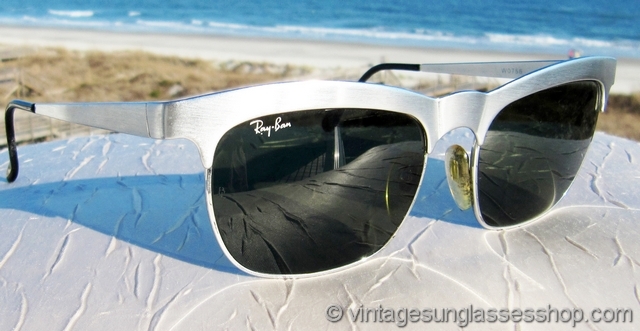 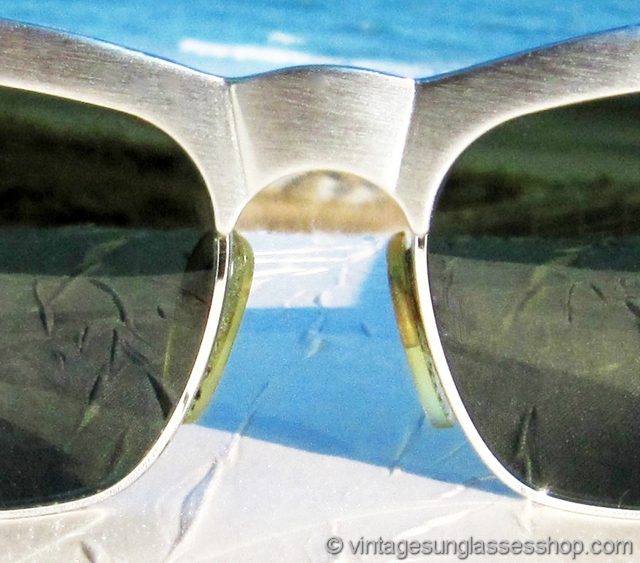 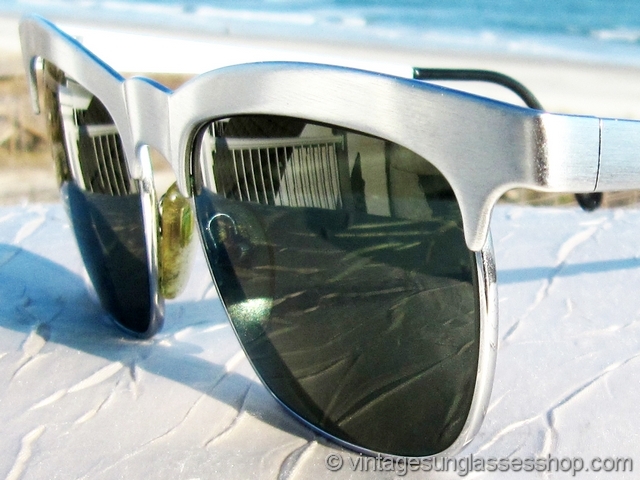 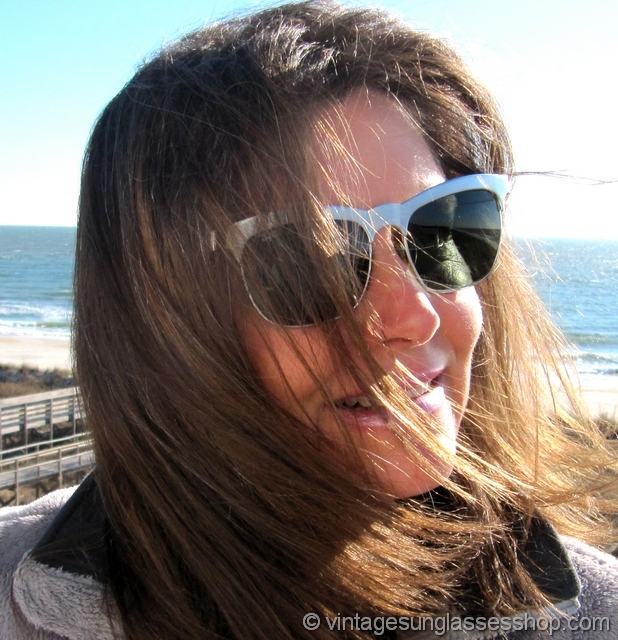 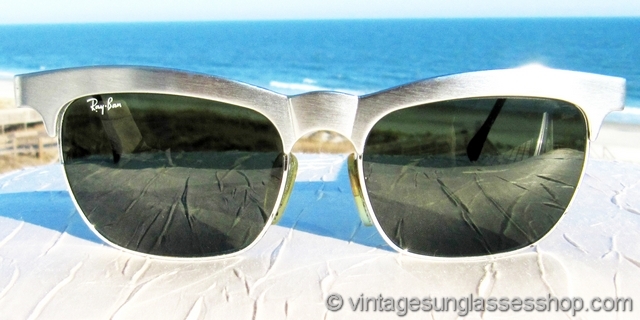 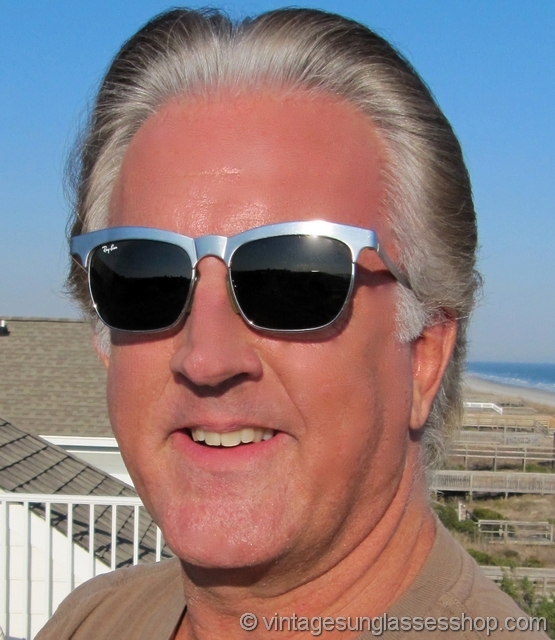 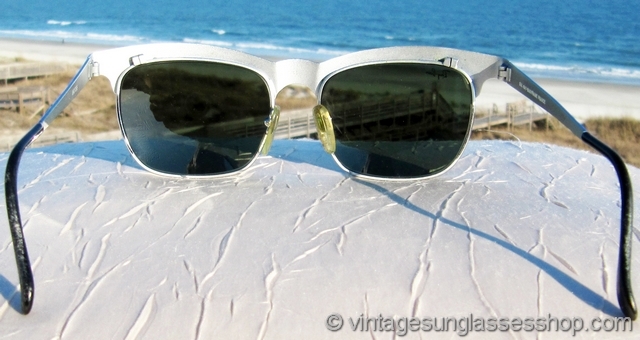 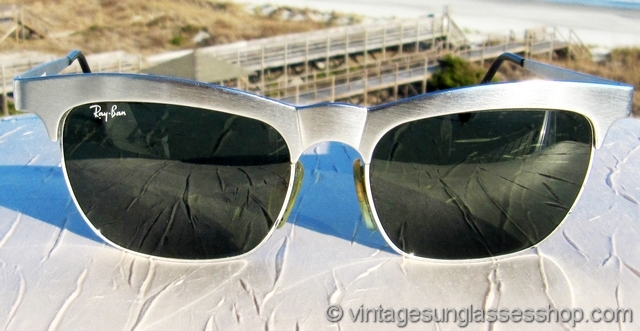 2 Step up another level beyond our aleady unequaled vintage condition standards with new old stock Ray-Ban W0756 Wayfarer Nuevo gunmetal sunglasses in mint, unworn condition.